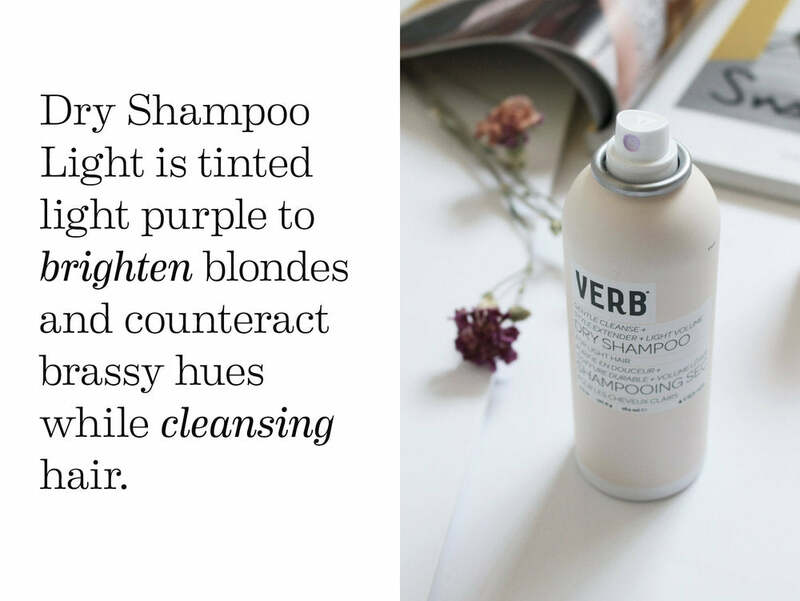 You've read about the salons that inspire us, the stylists we love and we're excited to keep sharing, but today is all about our "Verb Crush" series. This series features real people that inspire us, the girls & guys doing cool things all while having great hair. Today we want y'all to get to know the Verb team a bit more so meet our crush, Claire, one of the founding members of Verb! 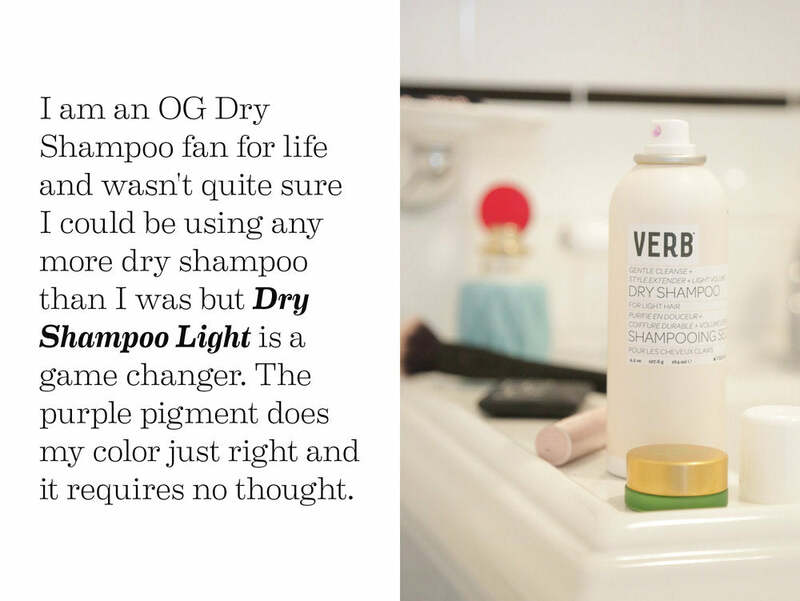 We caught up with Claire outside of work in her apartment in the West Village to get the scoop on all things Verb, beauty, and to see how the new Dry Shampoo Light fits into her busy lifestyle. 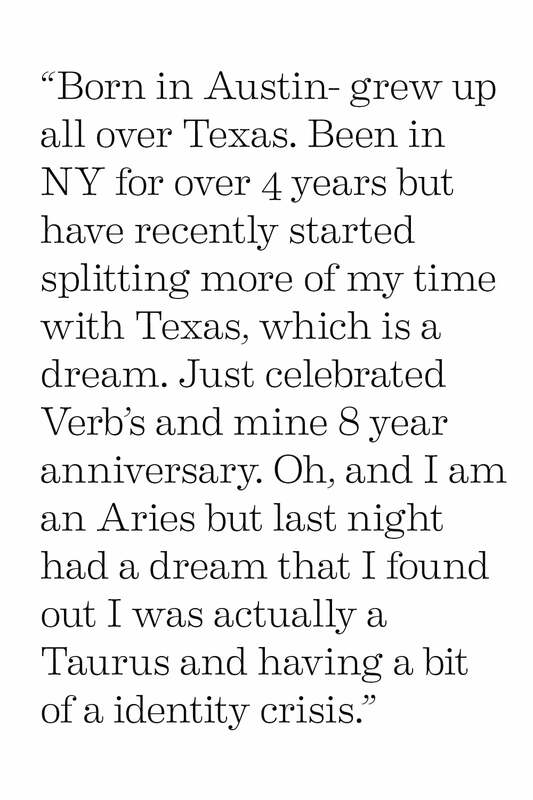 How did you get started at Verb? When you're not working how do you spend your day? An extended lazy morning drinking copius amounts of coffee in bed. If I can catch a yoga class with my favorite instructor (Kajuan Douglas if you are in NY! ), I'll do that and then spend the rest of the day walking around the city. A drink on the west side to watch the sunset and dinner. If I can get someone to play board games with me, preferably bananagrams, then it's basically the best day ever. Asleep before 10:30. I am not-not a morning person but I enjoy a lazy, snoozy morning more than anyone. 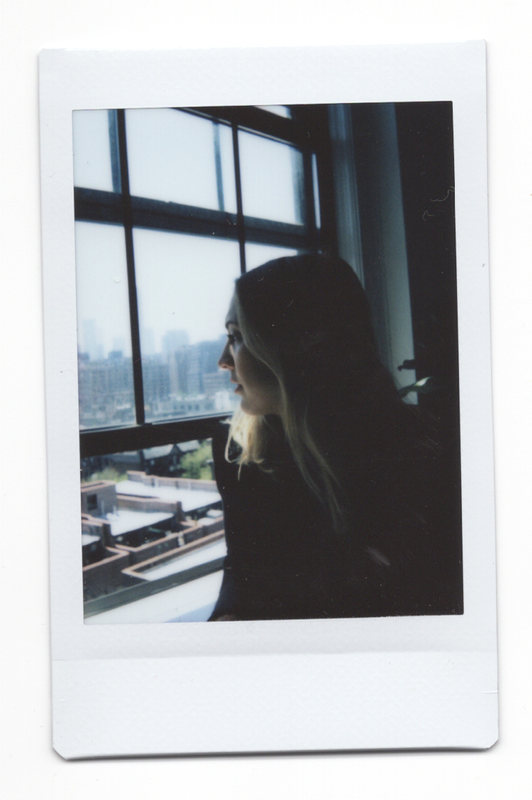 Morning goals are always to get up with the sun & the sound of our coffee pot going off. A solid 20 minutes in bed drinking coffee + checking emails + managing what my day will look like. I shower at night and work out at lunch so once I drag myself out of bed, it's a quick 15 minute face + make up routine. I always change my basic t-shirt jean combo at least three times and out the door. More coffee on the way to the office. I try to be in the office by 8:30-9:00 every morning since those are my most productive hours (currently when I am doing this interview!). Day: Wash with F.Miller Face Oil. Ole Henricksen Banana Bright Eye Cream. Drunk Elephant C-Firma Day Serum. Tatcha Water Cream. Makeup: Dr. Jart's Cicapair Tiger Grass Color Correcting Treatment for sunscreen and redness. Sephora Collection concealer for dark circles and spots. Mac Brow Gel. Glossier Mascara. Blush (brand agnostic). Hair: Verb Dry Shampoo all over. Hair in a low bun at the nape of my neck. Ghost Oil to smooth any flyaways. It has to be a special occasion for my hair to actually be down. Rotate between every Verb Shampoo duo. Night: Double cleanse with Bioderma Sensibio H20 and Purpose Face Wash. Root Science Toner. Estee Lauder Advanced Night Repair Eye. Vitners Daughter Serum. Tatcha Water Cream. Origins Spot Remover. Wow that is a lot of product. Somehow that feels low maintenance- I swear- although I would rather not add up how much I have spent on all that! Any other beauty must haves? I rarely leave the house without under eye concealer + eyebrow gel + aquaphor chapstick + perfume + painted nails. Best beauty tip you've ever gotten? Growing up I spent a lot of time in the sun on the swim team and living by water, but my mom would always come outside and put sunscreen on our faces, necks and the back of our hands. She totally got that I had life goals of being a golden goddess, but always knew what ages the most. To this day, I still always make sure I have sunscreen on those spots. What does a #treatyoself night look like for you? Binge watch Parks and Recreation? Just kidding. A perfect night would be device free, dinner at home with my boyfriend.